We are so excited to tell you today about a group of students who have all of us talking here at RMHCA! 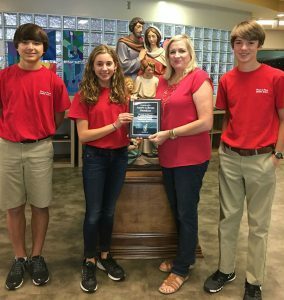 Part of the curriculum at Prince of Peace Catholic School in Hoover is spending time serving others. Each year, the class group leaders vote on which organization to help and we were honored to be chosen by them. 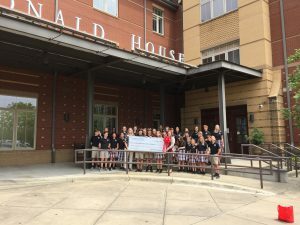 This special group began volunteering for RMHCA last year and a chance meeting changed everything for them. our housecleaning and recently decorated special cookies for Easter. 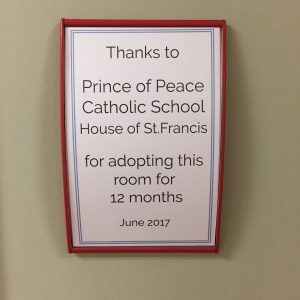 One day when the kids were helping clean in the upstairs hallways, they saw a plaque with the name of another organization who had adopted a room. Julie says at that point, the kids were determined to raise enough money to adopt one room for one year. By the end of the 2015-2016 school year they were able to raise $1,800 of the $5,000 goal. 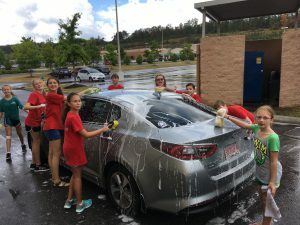 As the 2016-2017 school year began, the kids held several bake sales, car washes and jewelry sales to reach their goal. They were also able to raise an additional $3,000 thanks to a group at Prince of Peace church, bringing their total donation to $7,815.20. “They are so excited that through their efforts they will be able to not only fund a room but help many others with this donation,” Julie said. To celebrate their achievement, we invited the group to visit the House so they could see the impact their work will make. Director of Development Kathy Robson spoke to the students about the House’s mission and the kids were also able to view one of our guests rooms and pose for a photo outside of their “adopted” room. We are so grateful to the students at Prince of Peace for their leadership and determination to help RMHCA families. 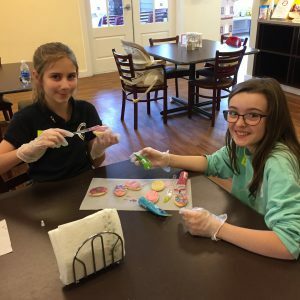 RMHCA gives families a comfortable place to rest away from the stress of a hospital and with others who understand what they are going through. Adopting a room ensures RMHCA’s financial stability and helps us refurbish our rooms on a regular basis with a fresh coat of paint, new linens or even new furniture. If you are interested in learning more about adopting a room, please click here.